Yes! 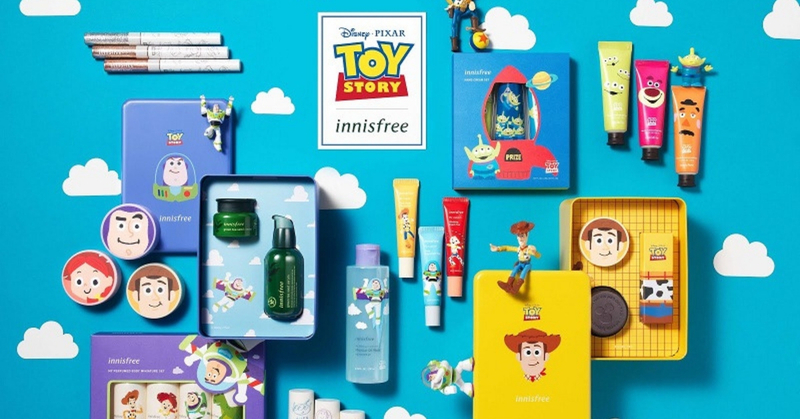 you read it right, Woody, Buzz, Jessie, Rex, and all your favourite Toy Story characters are back and this time, they’re teaming up with Korean skincare brand Innisfree to bring you a whole collection of beauty line! Innisfree has just recently released a new skincare line and we’re obsessed with their cute packaging! Who wouldn’t want a little Buzz Lightyear lip balm in their handbag? This is a great way to tease fans who are anxiously waiting for the release of Toys Story 4 that is coming our way this year! This isn’t the first time we see Innisfree teams up with a friendly face. Last year, Snoopy had his own limited-edition beauty line too! So, it served justice that the casts of Toy Story hopped on the bandwagon. Fans will be able to get their hands on the limited-edition beauty collaboration from RM 13 only! The 22 vibrant coloured products range from perfumed body sets, scented hand creams, colour nail sets, mineral powders, clay masks and more! You can purchase the limited-time only collection from Innisfree’s official website today!